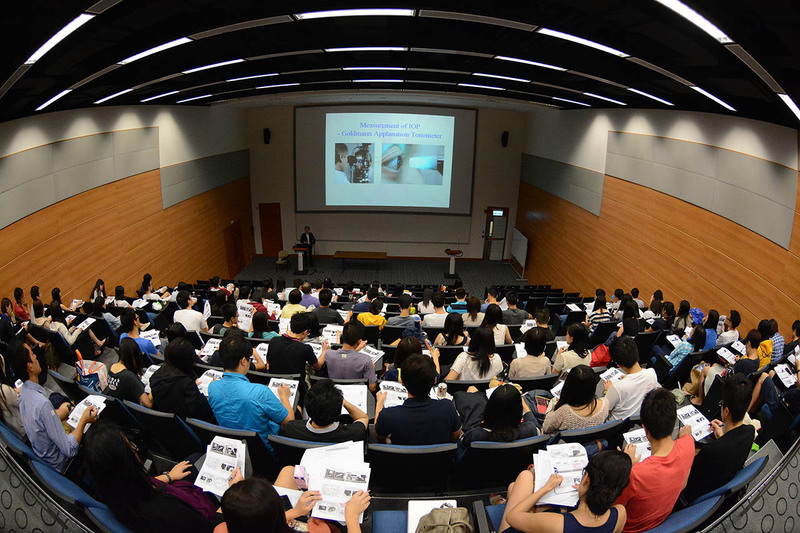 We provide undergraduate education in ophthalmology for medical students from CUHK. We also offer elective attachments to local and overseas medical students. The venues and facilities include the campus of CUHK, Hong Kong Eye Hospital, Prince of Wales Hospital and other affiliated hospitals. Besides the dedicated involvement of our fulltime academic faculty members, there are more than 130 international and local honorary faculty members participating in the teaching programme. For CUHK medical students the teaching courses include Selected Study Modules (SSM) in Year 1 to Year 3. In the final year, students will participate in small group clinical attachments in Hong Kong Eye Hospital or Prince of Wales Hospital as part of the Senior Surgical Clerkship. As the eyes are closely related to other parts of the human body, a multidisciplinary approach is adopted in the training programme. Ocular manifestations of systemic diseases and conversely the systemic effects on ocular tissues are particularly highlighted. In addition to tutorial and small group teaching, rotational sessions to specialist outpatient clinics and operating theatre are scheduled. We also offer research projects and supervision for undergraduate medical students taking the intercalated Bachelor of Science Programme. Our faculty members also supervise and mentor CUHK medical students from the Global Physician-Leadership Stream (GPS). GPS is a Faculty’s flagship educational platform launched since 2013, aiming to provide a platform in developing future physician leaders in the medical field.